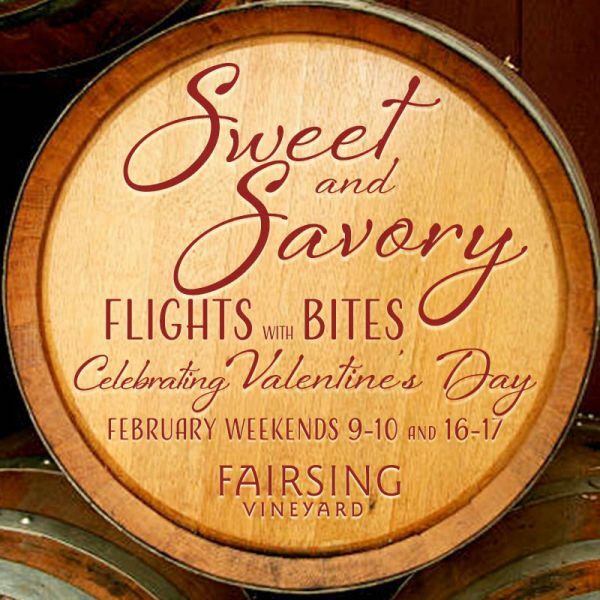 Join Fairsing Vineyard for Sweet & Savory weekends February 9-10 and 16-17 and enjoy a select wine flight and delicious bites. The Sweet & Savory flight features tasty pairings complemented by a flight of Fairsing Vineyard estate wines. Offered as an addition to our standard flight of current releases, Sweet & Savory flights are $25 per Guest and complimentary for Wine Club members.